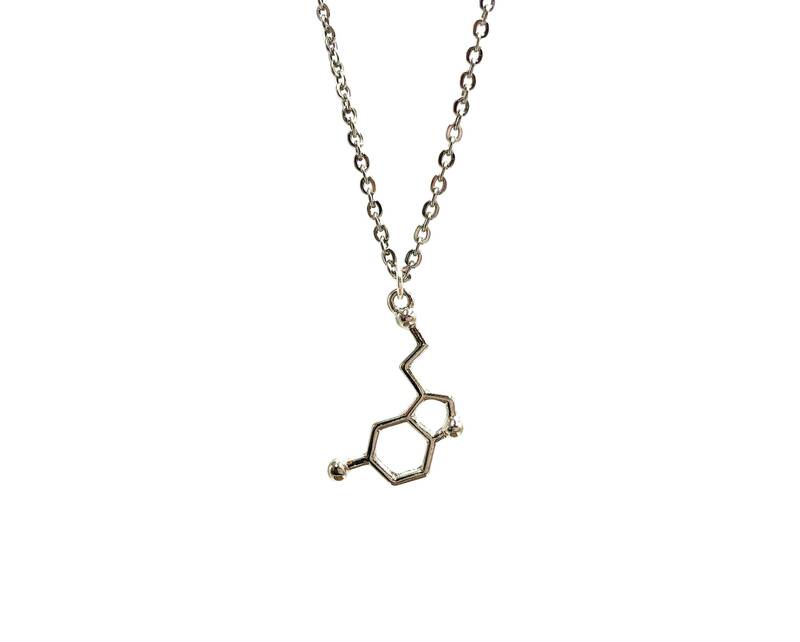 This molecular serotonin pendant is 15 inches and ideal for layering. Chain is nickel free and lead free metal alloy, available on Stainless Steel chain per request. Now available as a black elastic choker!